You are here: Home / Frequently Asked Questions / Am I Covered by Workers Comp? Am I Covered by Workers Comp? You are covered by workers’ compensation if you work for an employer that has three (3) or more employees. By law, every employer who conducts business in Georgia with three or more employees much purchase workers’ compensation insurance. An on-the-job injury is defined by Georgia law as any illness, injury or death arising out of and in the course of employment. This means that if you are injured while performing job duties during assigned work hours you are covered. If you are injured during lunch or on breaks you are not covered, and you are not covered for injuries that occur when you are driving to work or going home. As you might imagine, there is a great deal of litigation that arises over the question about whether an employee is performing duties that arise out of and in the course of employment. what if you are injured after you park your car, enter the building but before you clock in? what if you are injured when driving a company car home while dropping off a package at your employer’s request? what if you are injured while picking up your direct supervisor’s dry cleaning on your lunch break? As you can see the question of “arising out of and in the course of employment” is not cut and dry. You must be very accurate and careful when describing the circumstances of your accident – for this reason, I would urge you to call me before making any statements to your employer about how, when or where your accident happened. If you use the wrong words or if the HR representative pressures you about your statement then you could lose valuable rights. Employee vs. Independent Contractor – How Do You Tell the Difference? Generally the more control an employer has over the time, location and duties of his employee, the more likely that the worker is an employee rather than an independent contractor. 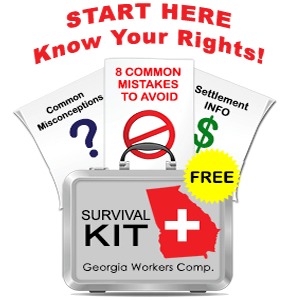 In my practice I have seen many situations where an employer/insurer attempts to (improperly) avoid the obligations required by the Georgia workers comp. laws. 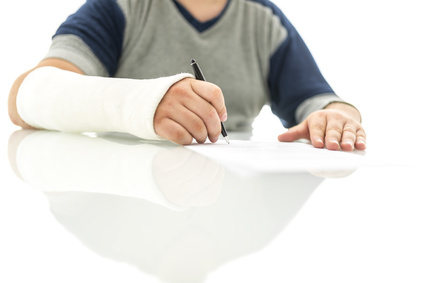 As is the case in many work injury situations you may want to consider trusting the advice of your own legal counsel as opposed to the self-serving pronouncements of your employer or its insurance company. If you have any questions or concerns about how to report your work injury or about whether you are covered, please pick up your phone and call me at 770-351-0801. I am happy to help.